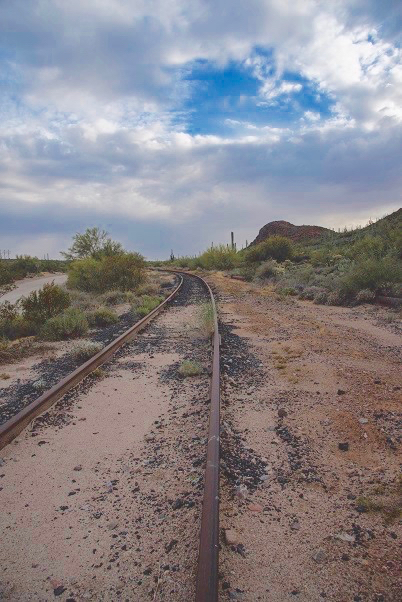 The area around Superior, Arizona has a long mining history starting with discovery of copper at the Silver Queen mine in 1875, 37 years before Arizona became a state and 30 years before the U.S. Forest Service was founded. 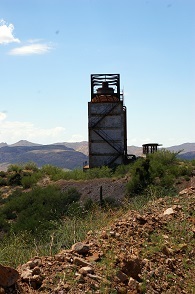 The Magma Mine, located in the Town of Superior, started production in 1910 and operated until 1996. In 1972, Magma geologists recognized the potential for a deep copper deposit in an area south of the Magma mine and exploration commenced. In 1995, the Magma Copper Company discovered the Resolution copper deposit east of Superior and 1.2 miles south of the Magma mine. The Resolution copper deposit is not exposed at the surface, and lies a minimum of 3,300 feet below the surface. The Magma Copper Company along with the Resolution copper deposit was acquired by BHP Copper, Inc. in 1996. Shortly thereafter, BHP closed operations at the Magma Mine, but exploration of the Resolution deposit continued. In 2001, Kennecott Exploration, a subsidiary of Rio Tinto, signed an earn-in agreement with BHP, and initiated a drilling program to further explore the deposit. Based on the drilling conducted to date, the Resolution copper deposit is one of the largest undeveloped copper deposits in the world with an estimated copper resource of 1.7 billion metric tons at an average grade of 1.52 percent copper. The Resolution Copper deposit is located in an area that has a long history of use by Native Americans including the Salt River Pima Maricopa Indian Community, the Gila River Indian Community, the Pueblo of Zuni, the Yavapai Prescott Indian Tribe, the Yavapai-Apache Nation, the Hopi Tribe, the San Carlos Apache Tribe, the Tonto Apache Tribe, and the White Mountain Apache Tribe. The Tonto National Forest is working with interested and affected parties to better understand the historical, cultural and religious importance of the area. 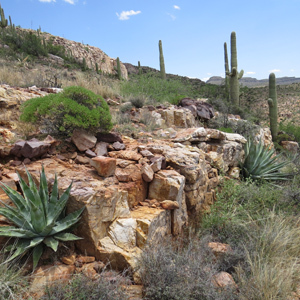 A large portion of the Resolution copper deposit lies beneath Tonto National Forest lands, although these lands would become private as part of the land exchange. Several Forest Service plans of operations have been processed during the exploration and development phases to authorize surface disturbing activities. Currently, the company is conducting development drilling in accordance with the approved Pre-feasibility Plan of Operations, which was authorized in 2010. In 2013, Resolution Copper submitted the proposed Plan of Operations for Baseline Hydrological and Geotechnical Data Gathering Activities. The purpose of this proposal is to collect hydrological, geochemical, and geotechnical data at the location of a potential tailings storage site. Tailings are finely ground rock fragments that remain after the copper minerals have been removed from the rock by a process called flotation. The hydrological, geochemical, and geotechnical data will be used to support detailed design of the facility and associated environmental analyses. The Forest Supervisor, Tonto National Forest, approved an environmental assessment as well as a plan of operations in August 2016. The approvals do not authorize the construction of the tailings storage facility itself but rather only allow for the acquisition of data related to groundwater and soils via construction of wells, test pits, forest road improvements, and laydown yards. The proposed tailings facility would encompass an area approximately 6,400 acres in size. Baseline activities will affect approximately 75 acres located on public lands managed by the Tonto National Forest approximately 4.5 miles west of Superior, Arizona. Activities will include construction of temporary access roads and drilling/trenching sites; improvement of existing access roads; and installation of groundwater monitoring wells, geotechnical bore holes, and trenches. All activities are outside of the Oak Flat area where the proposed underground copper mine is planned and will not impact camping and recreation activities near Oak Flat. The Decision Notice-Findings of No Significant Impact document, as well as the Environmental Assessment document, are located on this Web site on the Baseline Reports page. The mining proposal is complex with numerous components. The following is a brief summary of the different components. Full details can be found in the General Plan of Operations. Mining would use an underground mining technique known as panel caving. Using this process, a network of shafts and tunnels is constructed below the ore body. 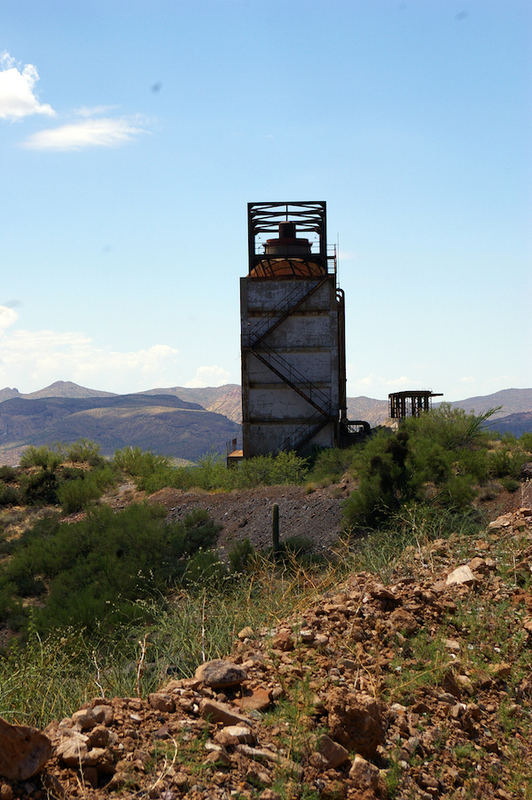 Access to the infrastructure associated with the panel caving would be from vertical shafts in an area known as the East Plant Site, near Oak Flat. Using the panel caving technique, ore is fractured using explosives, moves downward by gravity, and then is removed from below. As the ore moves downward and is removed, the land surface above the ore body subsides, or moves downwards. At the surface, a subsidence zone is expected to develop near Oak Flat, with potential downward movement of up to 1,000 feet. Crushed ore would be transported underground to an area known as the West Plant Site for processing. The West Plant Site is the location of the old Magma Mine in Superior. Processing would utilize a flotation process; no heap leaching is proposed to process the ore.
Once processed, copper concentrate would be pumped as a slurry about 22 miles to a filter/loadout facility near Magma, Arizona. 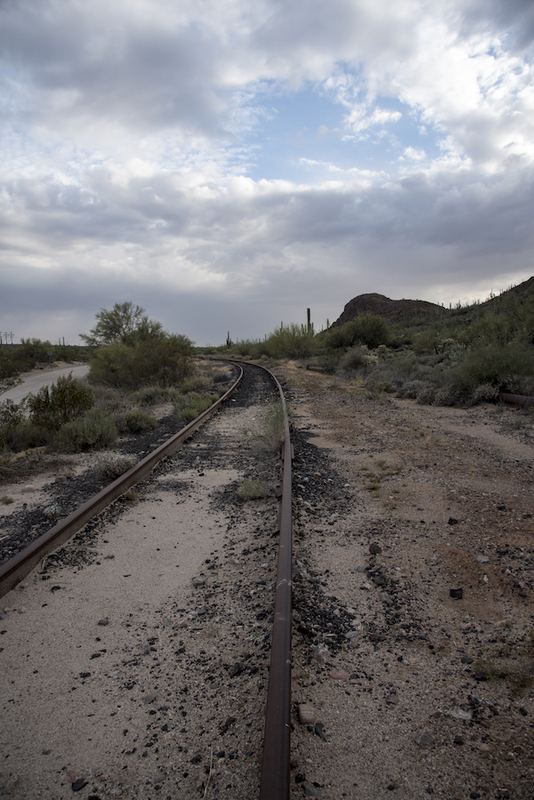 The slurry pipelines would follow an existing right-of-way known as the Magma Arizona Railroad Company (MARRCO) corridor. The MARRCO corridor would also include: an upgraded rail line, new water pipelines, new utility lines, several intermediate pump stations, and an estimated 30 new groundwater wells. From the filter/loadout facility, copper concentrate would be sent to market using rail or trucks. Tailings—the waste material left over after processing—would be pumped as a slurry 4.7 miles from the West Plant Site to a tailings disposal facility located on national forest land. The tailings facility would grow in phases, and eventually occupy about 4,400 acres (including associated structures) of national forest land. Access to the mine would be provided by existing roads. Magma Mine Road would eventually be relocated due to expected subsidence. Water for the process would come from a variety of sources. Filtrate from the filter plant, reclaimed water from the tailings storage facility, and recovered water from the concentrator complex would be recycled back into the mining process. Additional water would be obtained from dewatering of the mine workings, direct delivery of Central Arizona Project (CAP) water, and pumping of banked CAP water from a well field along the MARRCO corridor. Mining occurs through a step-wise process of prospecting, exploration, development, production and reclamation. Prospecting is the preliminary search for outcrops, surface exposures or other indications of a mineral deposit. If prospecting is successful, the next phase is exploration, where drilling or other subsurface methods are used to explore for an ore deposit. If exploration is successful, the development phase follows, which includes detailed delineation of the size, depth and ore grade of the mineral deposit and other studies to support mine design. The production phase only occurs if each proceeding phase is completed and is successful. Once the production phase is complete, mine reclamation is conducted. The steps of prospecting, exploration, development and production generally occur in order, and the preceding step must be successful to warrant the next step. On average, only 78 out of 1,000 prospects ever warrant exploration drilling, and only 1 prospect in 1,000 results in an operating mine. The likelihood of discovering a world-class copper deposit under thousands of feet of cover materials is even lower. The Forest Service mine regulatory framework recognizes this step-wise process. In general, Forest Service authorization is required for any activity associated with the mining process that has potential to cause significant surface disturbance to National Forest lands. For copper deposits, the project proponent must submit a proposed plan of operations prior to conducting surface-disturbing activities on National Forest lands. When a proposed Plan of Operations is received from a proponent, the Forest Service conducts an environmental analysis in accordance with the National Environmental Policy Act (NEPA) to evaluate and disclose environmental effects of the proposal. 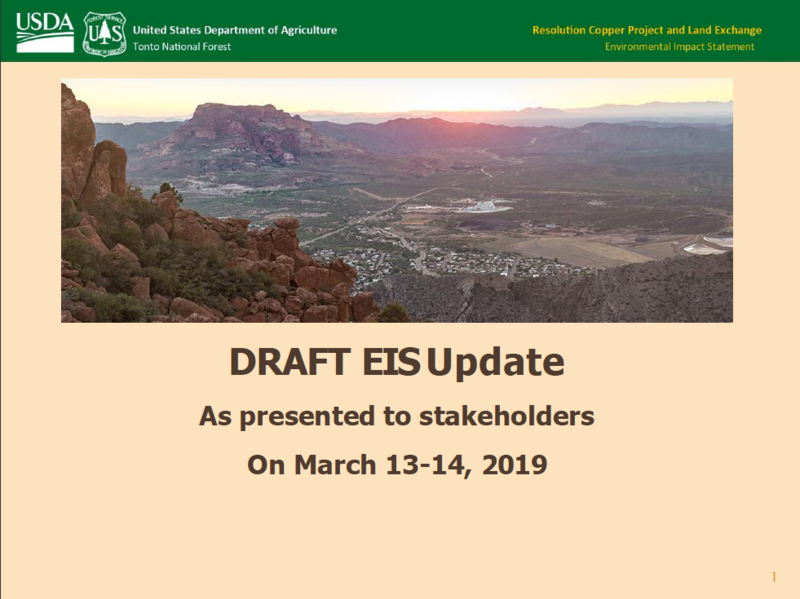 Authorization of a final plan of operations occurs after the NEPA analysis is complete, and includes mitigations and other conditions of approval designed to minimize adverse environmental impacts on surface resources of National Forest lands. Reclamation financial assurance is also required, which is cash or other financial assurance submitted by the operator to provide for reclamation of surface disturbance caused by the project if the operator fails to reclaim the disturbance. Multiple plans of operations are generally completed as a mine is developed, because the details of a later phase cannot be planned until the proceeding phase is completed. In addition, because the likelihood of discovering a mineral deposit that will support a profitable mine is low (about 1 in 1,000 at the prospecting phase), it is not reasonable to propose mine construction at the prospecting or exploration phases. Securing ownership of mineral rights is an aspect of the mining process that generally occurs during the prospecting or exploration phases. On National Forest lands, this process often involves locating mining claims. However, mining claims cannot be located on National Forest lands withdrawn from mineral entry. Resolution Copper has been pursuing a land exchange to acquire National Forest land northeast of the Resolution copper deposit for approximately 10 years, because mining claims cannot be located on that land parcel. The Oak Flat Picnic and Camp Ground withdrawal area is a 760 acre land parcel that was withdrawn from mineral entry in 1955 (Public Land Order 1229, October 1, 1955). The mineral withdrawal changed the land status of this land parcel by withdrawing it from all forms of appropriation under the public land laws, including mining, and reserved it for use as a camp ground, recreational area, or for other public purposes. In 1971, this withdrawal was modified to open the lands to all forms of appropriation under the public land laws, except under the U.S mining laws (Modification of Public Land Order 1229, September 25, 1971). The proposed land exchange provided a potential means for Resolution Copper to secure both surface and mineral rights to this land parcel. In December 2014, Congress passed, and the president approved, the National Defense Authorization Act (NDAA) for Fiscal Year 2015. Section 3003 of the NDAA authorizes a land exchange between Resolution Copper and the United States. The purpose of Section 3003 of the NDAA is to “authorize, direct, facilitate, and expedite the exchange of land between Resolution Copper and the United States”. As an agency within the Department of Agriculture, the Forest Service will administer the land exchange. The NDAA includes the exchange of 2,422 acres of National Forest lands for 5,344 acres of private lands held by Resolution Copper. The National Forest lands that will be exchanged include the 760 acre Oak Flat parcel and lands that overlie the known ore body. 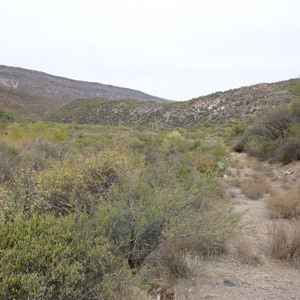 The private lands that would become federal lands are located in various areas of Arizona including high-priority conservation lands that would become part of the San Pedro Riparian and Las Cienegas national conservation areas. The NDAA requires that exchanged private lands be of equal value to the federal lands. If an appraisal indicates that the value of the federal lands exceeds the value of the private lands, Resolution Copper must either provide more private land or provide cash to the federal government to make up the difference. 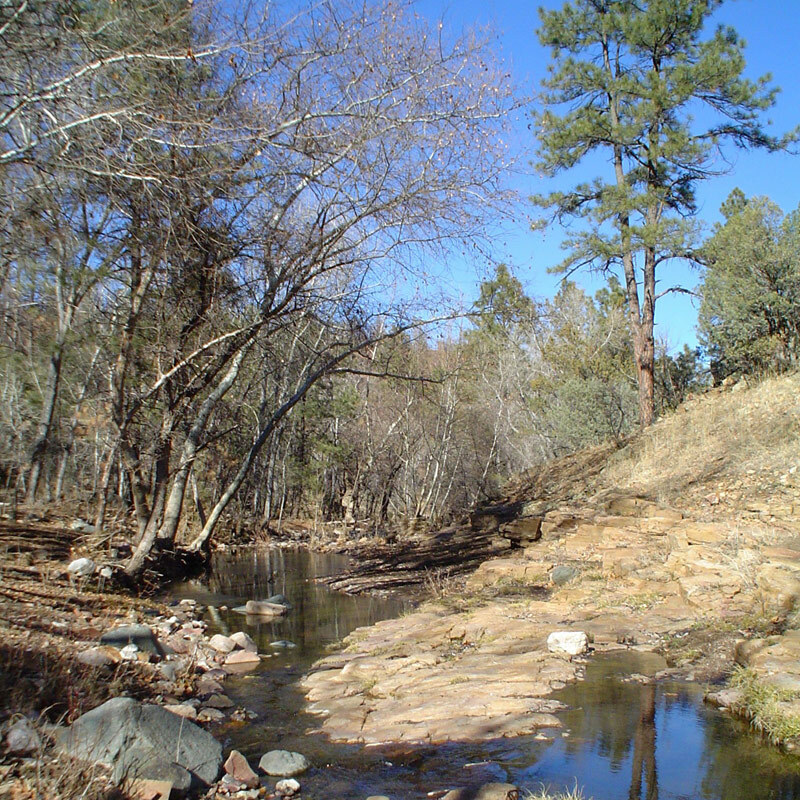 If a cash payment is used to equalize the values, that money would be placed in a special account to be used for acquisition of additional national forest land in Arizona or New Mexico. The appraisal will be conducted by a Government appraiser in accordance with federal regulations and nationally recognized appraisal standards. Once the appraisal is complete, it will be made public. 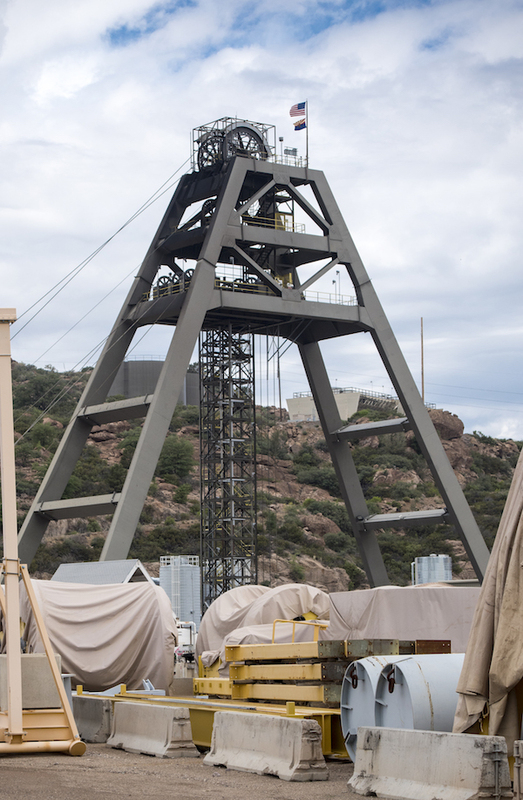 An additional provision of the NDAA requires Resolution Copper to make annual payments to the federal government during mine production in the event that the appraisal undervalues the copper resource on exchanged lands. Native American concerns are also addressed in the NDAA. The Secretary of Agriculture is required to conduct government-to-government consultations with affected tribes to understand issues of concern. The Secretary is then required to consult with Resolution Copper to find mutually acceptable measures to address those concerns. 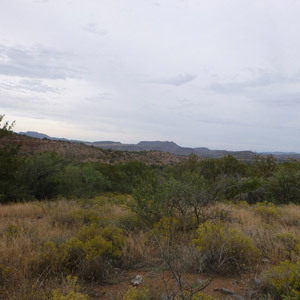 In addition, the NDAA provides for preservation of an area called Apache Leap and development of a management plan, which provides access for traditional uses by Native Americans.